I just thought some of your readers might be intrested in my story. I have just left kitchens simply. I have been a kitchen designer for sometime, after losing my last job,due to redundance, went to work for them. I know that the owner had a "reputation" within the kitchen business, but I needed a job. At first everything seem good. 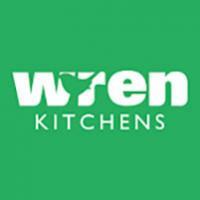 The quality of the door and units where excellent and so where the prices.Infact I did really well sold lots of kitchens. HOW TO SCAM THE SCAMMERS!!! I have had an awful experience with this company. Our kitchen has arrived with out the work top and with the wrong handles. The customers service is incredibly rude, augmentative and unhelpful. They also told me that all the hundreds of bad customer reviews about them were written by competitors! I've given one star because I have no option but they should be -100 Stars. one tip if you get cut off keep trying you will get through eventually. HAS ANYONE MANAGED TO RESOLVE ANYTHING WITH THESE PEOPLE? AND HAS ANYONE SUCCESSFULLY TAKEN LEGAL ACTION AGAINST THEM? PLEASE TELL IF YOU HAVE AND HOW? Evertyhing that has been delivered is either wrong or damaged. Some stuff has not been supplied, or supplied in the wrong colour and after weeks of waiting my mum and dad are still waiting for replacement units etc. BUYER BEWARE! DO NOT TOUCH THIS COMPANY AT ALL. We have just been conned by Sensibly Priced Kitchens and have been delivered nothing but damaged goods. <br/>If you have a kitchen delivered please check everything is there before you pay for it. Is possible, unpack everything and have an experienced kitchen fitter there to check everything needed is there. <br/>You can hold back money for anything which is missing, and even then only accept delivery if you are happy to accept that you may never receive these parts. It will certainly take a lot of your time and energy to try to get them. Good luck! <br/>I had a kitchen from this company delivered two months ago. <br/>For the price the kitchen is fantastic. Everything except the draw fronts were delivered, in fact even a little bit more. <br/>I love my kitchen and the service and speed that everything was delta with was fantastic. <br/>Unfortunately i am still without my draw fronts and this is now causing a bitter taste, after thinking this company were very very good and incredibly cheap for the product they have let me down so im disappointed. However they may turn up yet, i will certainly keep ringing! Rubbish rubbish rubbish!..kitchens sinply simply kitchens rats!